If you are a regular listener to the latest and trending music then no other app can fullfil your needs except Spotify. And what if I tell you that you can get for free via Spotify++ Tutuapp using this guide. Spotify is a largest place for fresh music. Every new music is uploaded on Spotify at its release but as you know that there is a price for everything. And if you want to use this music streaming app on regular basis then you have to pay the subscription fee. But this would not be the case today. I will show you how to get Spotify++ with tutuapp on iOS devices for free. Tutu app is an appstore that is very popular for providing tweaked apps and games for Andoir and iOS users. You can get all the famous apps and games for free on this appstore including paid apps which are free also. Spotify++ iOS is a tweaked version which gives you premium Spotify for free. This hack is published on Tutuapp and I will show how you can download and install it on your phone. With Spotify Plus you will get premium access for free and can listen to any music for free. This app may be better than youtube because it’s solely for music and is so popular that every new music is uploaded here. You can find almost any song, you name it they have it. Good thing, is you don’t even need jailbreak for installing Spotify++ on iPhone or ipad. It is just a five-minute process. First you have to download the tutuapp store on your phone. Then, install the spotify++ iOS 11 and trust its developer profile. Launch the app and you are good to go. Without taking much of your time. Let’s get started with real work. Below are few exciting features of this app. Huge collection of music. Almost every song, music, tune. To download and install spotify++ with tutuapp you can follow the steps below. The very first thing you need to do is install tutuapp on your phone. Open safari go to tutuapp.vip, tap on regular and download it. After that trust the profile from settings. Full instructions to download tutuapp are here. After you have downloaded and installed tutuapp. You can proceed further. Open tutu app, in the above search bar. Search for “Spotify++” and hit enter. Now, in the search result. Tap on the desired Spotify app and open it. It’ll be probably on the top. Now, tap on the green button to install it. Accept any onscreen popup. Your download will now begin. Wait till it installs completely. When the Spotify premium free app installs. You can go to Settings>>General>>Profiles. Here, trust the profile of the recently installed app. Now, launch the newly installed Spotify plus app. Log in to your account. Enjoy premium access for free. Stream any music you like. This is it. 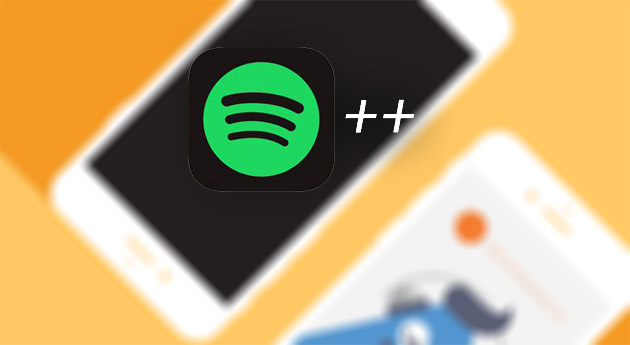 Hope you like this tutorial to install Spotify++ using tutuapp on iOS. Comment below for any queries. Share it and subscribe to our blog. Thanks, Bye.